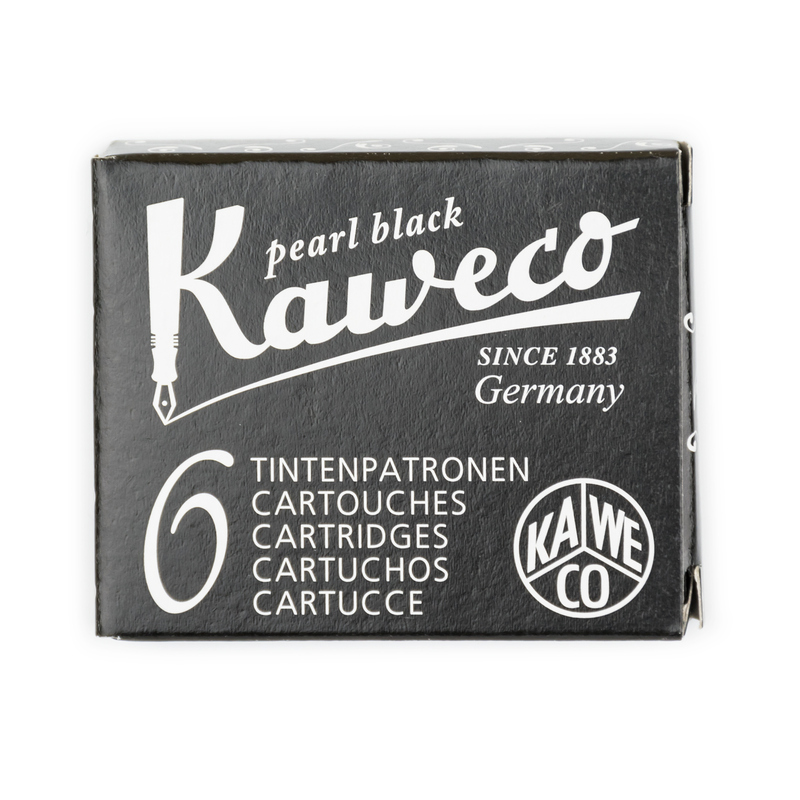 View cart “Kaweco Pearl Black ink cartridges” has been added to your cart. 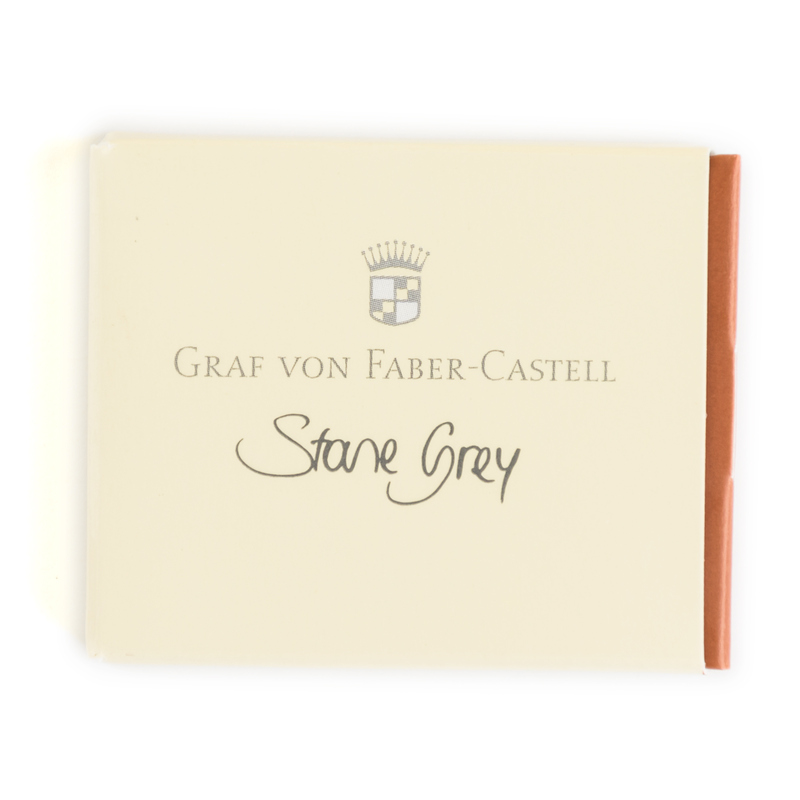 Graf von Faber-Castell Stone Grey is a luxury ink of a medium grey color. It is a part of Document Proof series. 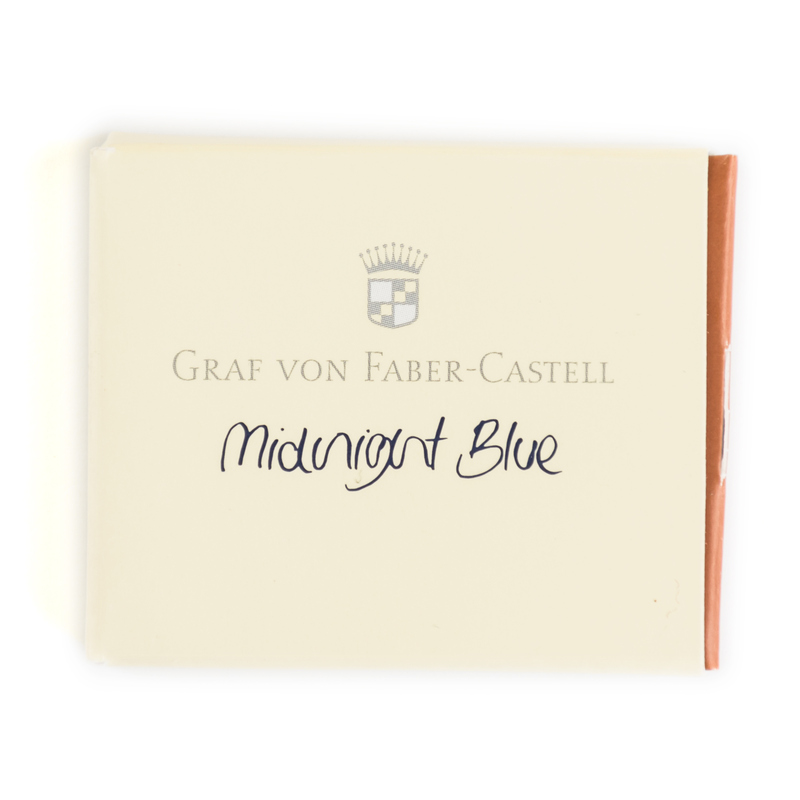 It means that the ink is resistant to UV light and cannot be altered or removed from the paper without a trace. It was also designed with the standard office copy paper in mind. It doesn’t “feathers” on such paper, and doesn’t bleeds to the other side of the page. It could be used for signing and annotating documents in the common office environment. 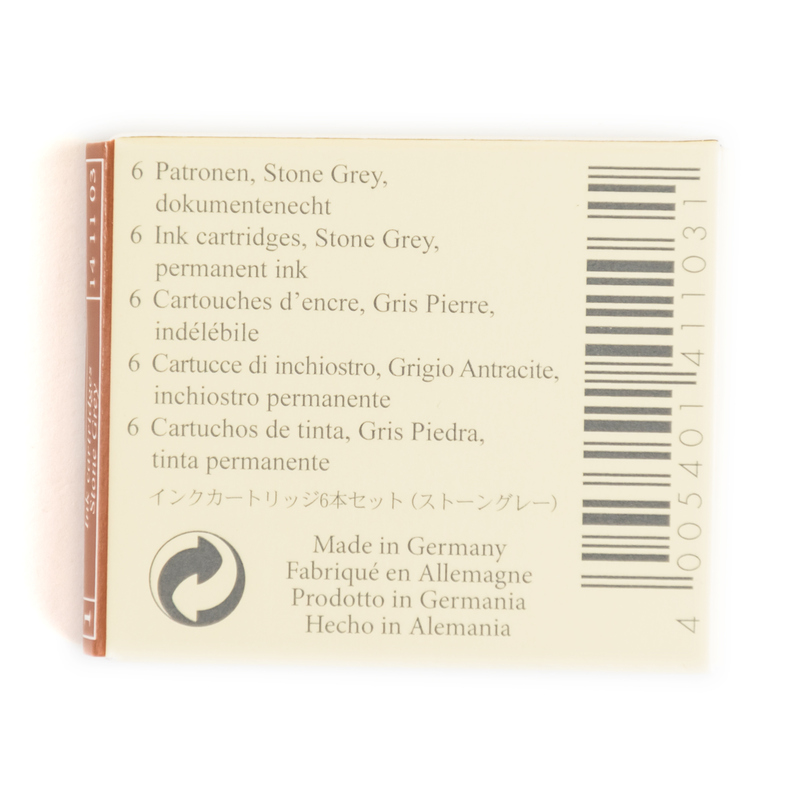 Stone Grey is suitable for all fountain pens. 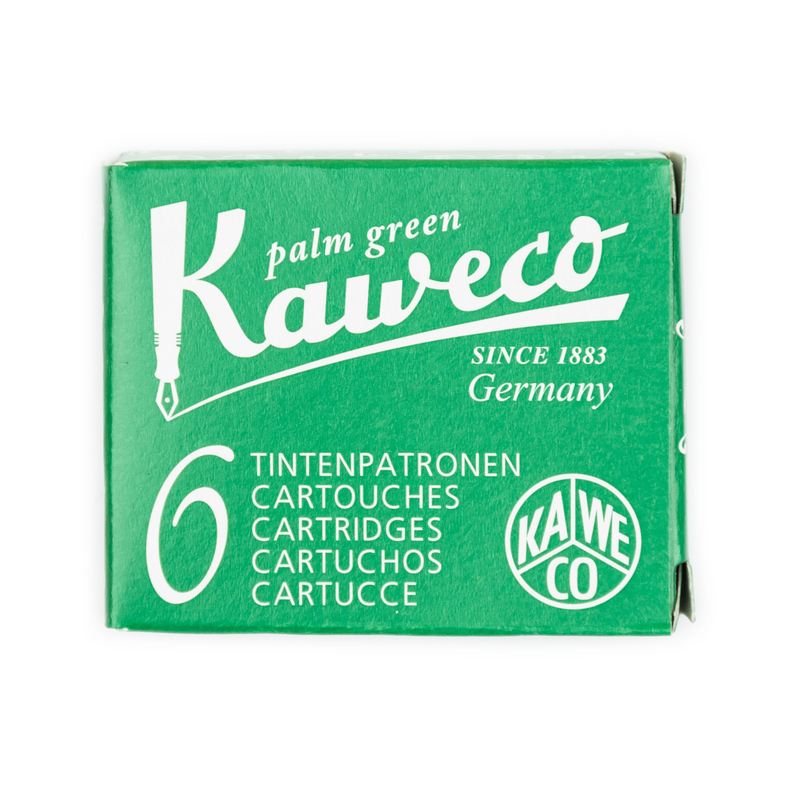 This ink has a good flow and can be cleaned out of the pen without a lot of work.